Posted October 5, 2017 by Ellie Michell & filed under Fundraising, News, People. 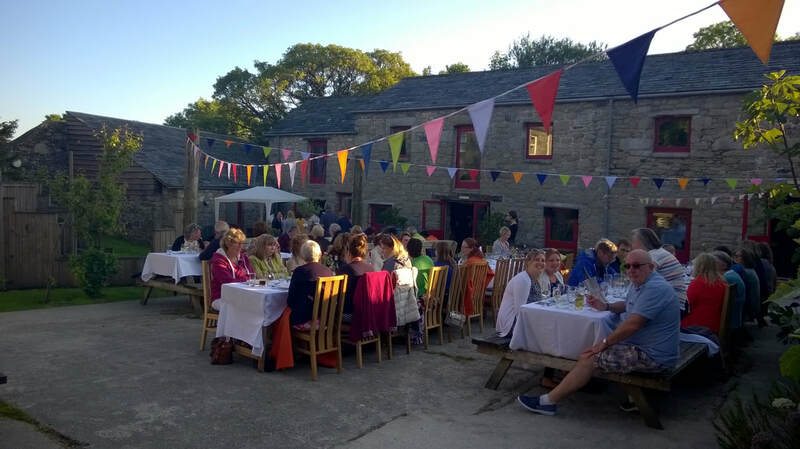 We are taking over Knightor Winery on Friday 20 October, for a FABULOUS FEAST of our homegrown produce. On the morning of the feast, we’ll be picking a selection of fresh produce from the nursery, before splitting into kitchen and front of house teams to deliver the feast. Please join us for this fantastic event, with all money raised going straight back to People & Gardens. Tickets are priced at £25 for three delicious courses, and a welcome cocktail. BUY TICKETS. We thought it would be fun to have a little competition, so here’s something for all you foodies out there. Can you help us to devise a course? We would like people to come up with a course based on the following ingredients we have growing. This could be a starter, main, or dessert. It could include meat or fish, or be vegetarian. Feel free to include a small amount of essential ingredients such as pasta, rice, cream, cheese, herbs, garlic, bread, etc.. Remember, this will be for over 30 people, so be realistic! This will be judged by ourselves and Knightor’s wonderful chef, Joe. Submit your entries via our Facebook page. What’s the prize? As well as the prestige, we can give you one complimentary ticket for the night.